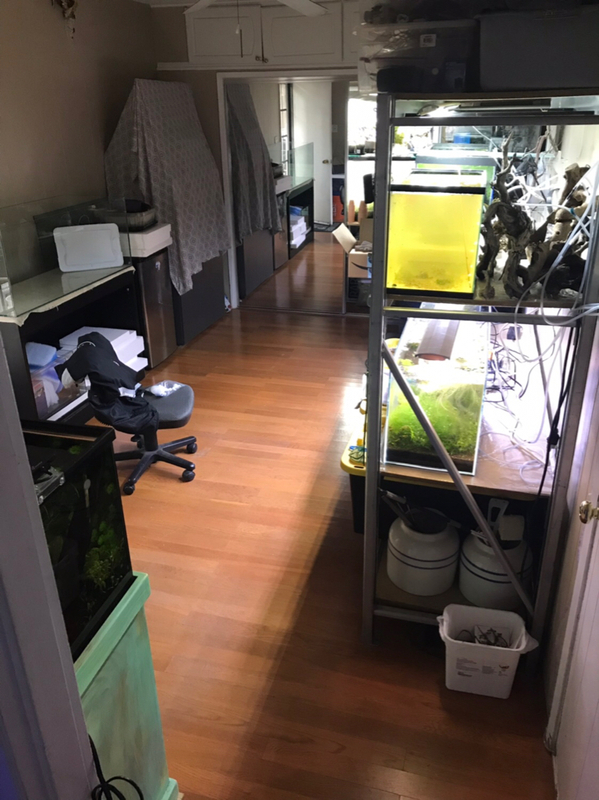 I finally decided to turn my spare room into an actual fish room. I’m going to do as much work on my own until I feel I will need to hire some pros. 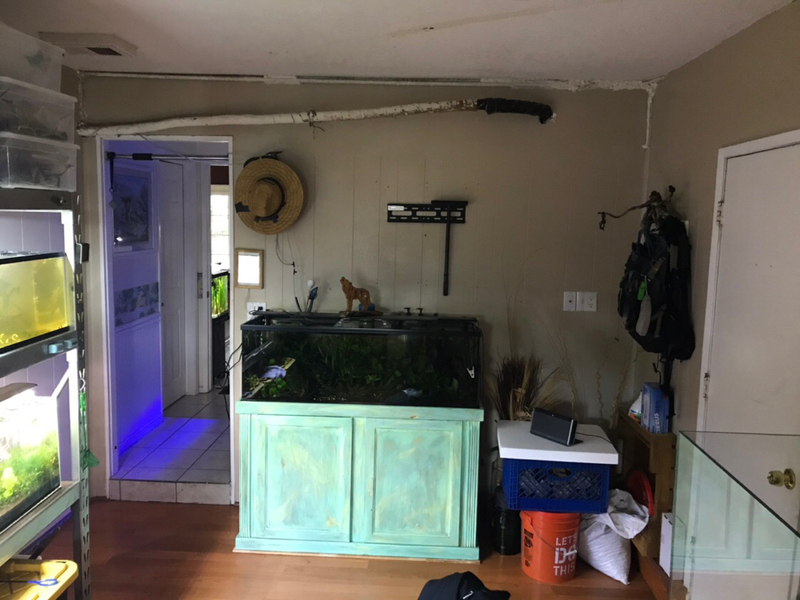 I’ve acquired some decent aquarium “stuff” and don’t want to set them up until this room is done. That and this forum will keep me motivated to get this room completed so I can get to the fun part...scaping! I’ve undertaken some plans similar to this in the past. Mostly lack of time, my impatience and at times lack of $$$ will frustrate me. This time I want to do it right all the way to completion. I’m posting this so you all can shame me into finishing also, to get some ideas as I go I have somewhat of general plan but I’m so indecisive at times that I can change my mind in an instance. That is also another reason for plans like this to take much longer than anticipated and thus, frustration. Anyways, I’ll post some of what I have in mind for this room as I go. Also the progression. Reward after day one of hard labor. Hi Victor - this is getting serious. Should I organize an intervention to rescue you at the next meet? Admire getting to the “point of no return”. 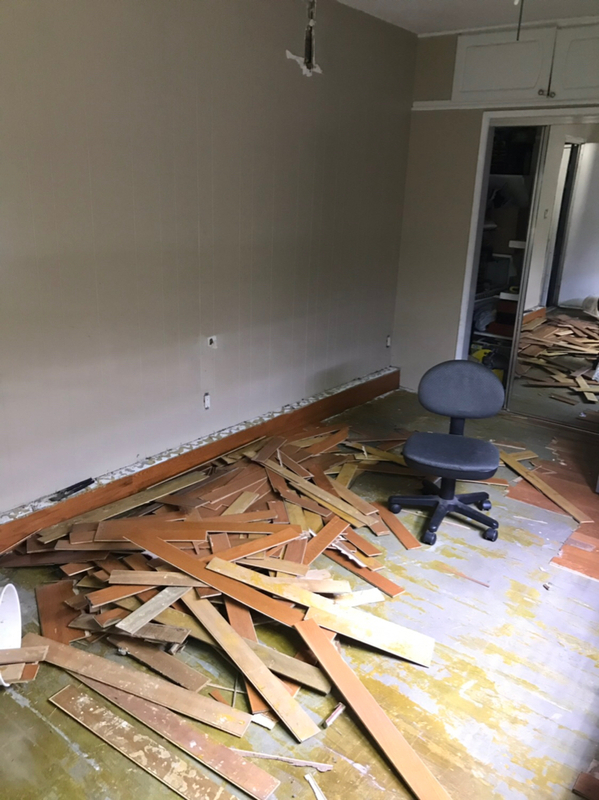 What are you going to do for flooring? Maybe I am the only one with AADD on the site that has so many issues with siphons and hoses not being properly attended. I hope you have a lot more of “those” in the fridge for the project. Be nice to see the progress. Next time I am over, I definitely wanna check it out. Great room so far, looks like you've got some big plans. Last edited by Zenzu; 02-10-2019 at 07:29 PM. Reason: dang phone. Looking pretty good, at least the only way out is forward. yes it is. LOL. An intervention wouldn't work, I'm hard headed that way. The more the merrier is what I say. Hit me up if you're serious. But don't worry if you can't make it out sooner, when all is done, I'll still have plenty work planning the layouts with scaping n stuff. For sure! Yes, I have some cool thoughts. Trying to put it on paper and get better organized. Will post soon. Indeed! The way I'm looking at it is that at the very least it's going to be a fancy spare room that even without the tanks should give my property some value. All in good time Roger. All in good time. The floor is clean to the concrete now. Only one spot left underneath the 60 gallon with the shabby chic stand. Dreading moving that sucker but has to be done. That will take place sometime during the week. I'll be posting a lot of stuff soon. Not everything I have horded will have a place in this room. Standby for pics and posts on that stuff coming soon! Can't wait to see how it turns out! Really cool. floor layout of my 10x17 foot room no including the closet which adds another 3 feet. Wall with entrance doorway (no door). I'm building some cabinets to hide an ugly pipe that is exposed higher up on that wall. It's for my AC so can't just cut it off. The wall will be covered in "Faux" (aka fake) brick. Saw some cool sheets at Home Depot and should be really easy to put up. Oh, the samurai art work is just a place holder. The real art will be a really cool reveal once it's done. Maybe that will be the unvailing at the mini-meet once room and tanks are in place. Enough said here. I figure the less stuff the more appealing it will look.The stand will be a long 10 foot covered in??? For those that have seen my Ebony or Oak post will automatically know what kind of wood. I have plenty stored. Once I'm done that will give me some much cleared up space in my garage. Yet another incentive to hurry up and complete this! I have another wall but a closet with shelving is there. I'm undecided on how I will best utilize that space. Once I get an idea I will update this post. The colors are not reflective of what I have in mind. Wall color will be some industrial darker grey and floor will be a dark grey or black stone-like tile. Waterproof so I don't worry about water spills (that is a big bonus)! Let me know what you guys think. Any ideas will be much appreciated. **** victor... I’m excited for you. 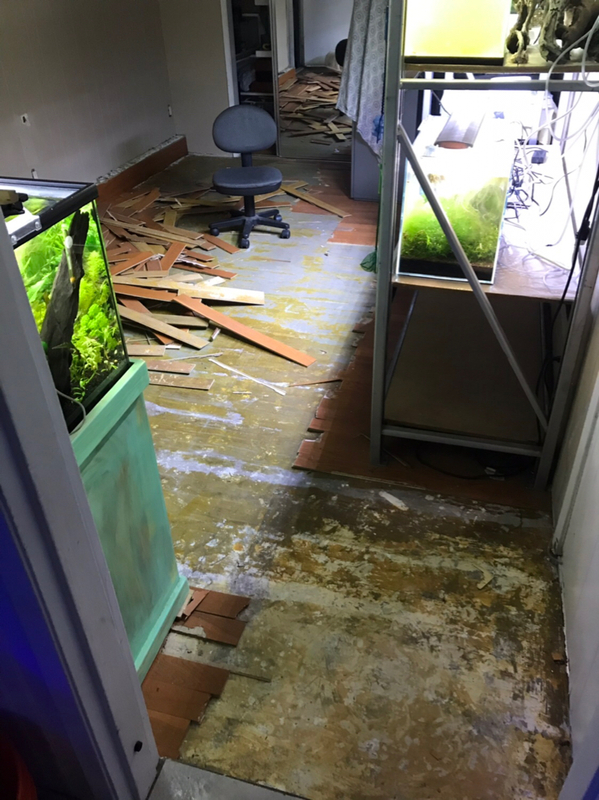 This project looks like it will be an amazing fish room. I like the idea of the grey walls and black flooring. The only thing that should be colorful in that room are those amazing scapes are your tanks current in the spots they’re gonna be at? Or do you have to move them when doing the flooring? I would suggest some cool scape posters or fish related items! That would be cool. 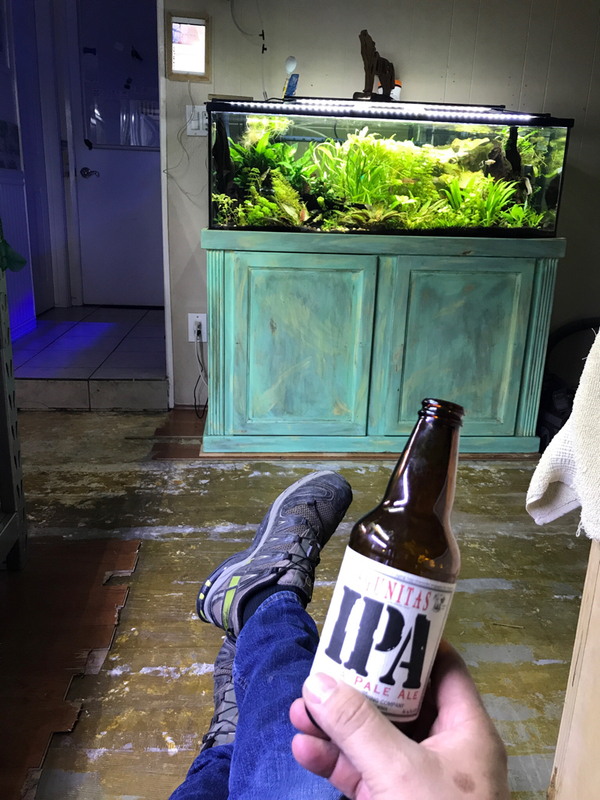 You should also get one of those nice wooden benches put it in the middle of the room so you can have a view of all the tanks no matter where you sit! 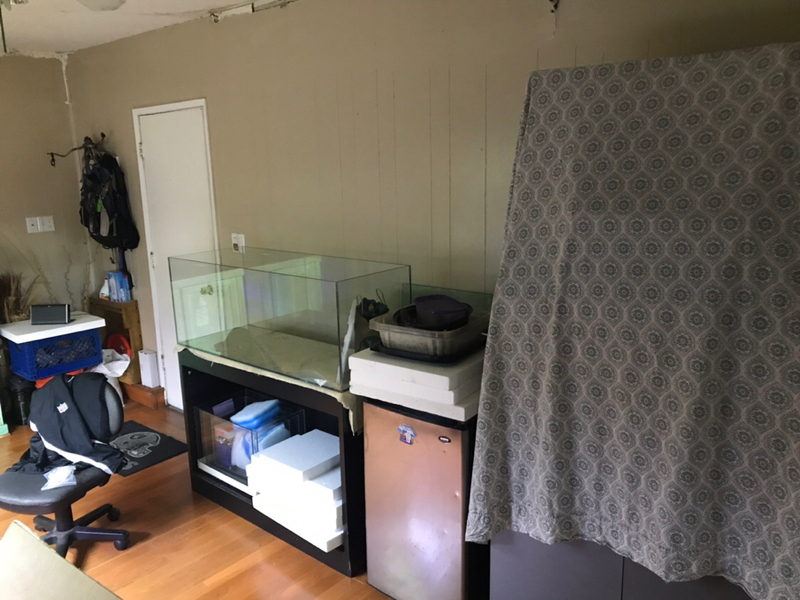 If I were you, I’d turn that closet into a storage place (hardscape...meds... and so fourth) or a little workshop like you suggested would look cool too! Thanks Abel. I'm pretty stoked too! To the point I don't mind putting in some work in this room after my actual work. I agree with the tanks being the main and most colorful attraction. Regarding the bench, I actually had the same idea but I also like the idea of leaving open to give the appearance of bigger open space. Not so sure quite yet but will definitely let you know. I'm actively looking for some unique artwork or items that will accentuate the space. 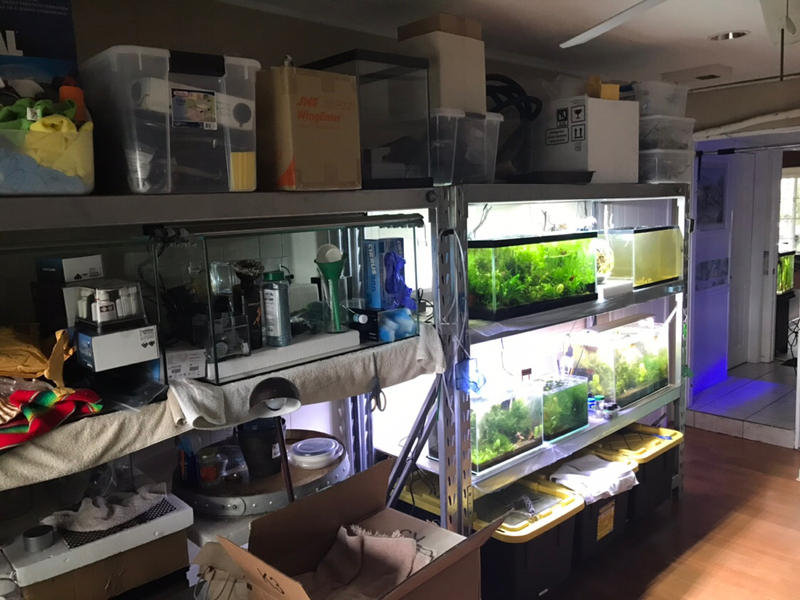 Don't want to clutter the wall space to distract from the main views of the tanks. Not too concerned at the moment as I know it will be a little while till I get to that. Oh, and no, the tanks are not there at the moment. They have been sitting empty for a while. The sketches are to scale and everything should fit as pictured. Once the walls are done the floor will be last and then I can bring in the tanks. Lastly, the fun part of escaping will take place. I might invite some of you pros or ideas.